This quick Adobe Photoshop tutorial shows you how to combine your already created Personalised Portraits into one file. I’ve just sent you an email, let me know if you need further assistance. How should I save the file once I’m done? Hello, I’ve been able to create a portrait but the backgrounds won’t open into my Photoshop, do you know why this could be? Thanks! So happy to hear you managed to create your first portrait! The PSD background files should open up into Photoshop by double-clicking. If that’s not working for some reason, you can try the long way round which would be from Photoshop for to File > Open then navigate to the background you want to open and click OK. That should do it. Let me know if you have any other questions. I just purchased it – but it doesn’t tell me how to open this up in photoshop to get started? I have a fairly comprehensive tutorial that takes you through the steps of creating your first portrait. You can view it here. Hope that helps. Happy creating your portraits! Hi I purchased your PPC I’m using it with PS CC. I downloaded and the bodies will come up but it won’t allow me to double click to get to any options for personalization? It did work initially but then failed? Any thoughts on what would have happened? I re-downloaded and it didn’t correct the problem. Thanks for any help! I have tried 3 times to download……stops in the middle and says forbidden, not impressed. Went more than halfway…..using my data for nothing. So sorry to hear you’ve been struggling with the download. I know how frustrating that can be! Hi Lisa, I am trying to combine two portraits as per your video instructions. When I get to the step Edit –> Copy Merged – it is greyed out giving me no option to select anything under the Edit tab. I have googled but not getting anywhere. Can you help me? Hi Lisa, Sorry to hear you are struggling to copy the character. Are you sure you are selecting the layers first before you try and copy? Be sure that you haven’t skipped the step Select > All before trying to copy. I can’t think of any other reason the Copy Merged would be greyed out other than there is nothing selected. If you have selected and it’s still not working, I would suggest maybe restarting as it could be a glitch in your app. Hope that helps! Let me know how you get on. Thanks! Hi Lisa, do you happen to know the equivalent of Copy Merged in Illustrator? I tried using the group function before copying but they just ungroup themselves once pasted. How do we Combine Portraits in Illustrator? Fortunately combining portraits in Adobe Illustrator is much easier. Once you’ve created each portrait, simply copy each one and paste into a new document one by one. But remember, this is important, group the portrait straight after you have pasted it into your new document which will flatten the character into one layer. This means you can then move the entire portrait as a whole. I recommend bringing each portrait into the doc first before resizing. Once they are all in the new doc, select them all and resize at once so that you retain the proportions in relation to each other. Also remember to hold down the shift key when resizing. To use the pre-made backgrounds, it would be best to open up the background files first, then paste your portraits into that document. From there you can arrange the portraits using your select tool and move them to the front or back of each otters using the menu Object > Arrange. Hi Lisa, can you please make a tutorial for Illustrator in addition to your photoshop one? I love all your work. Thank you so much for creating this. It is fabulous! 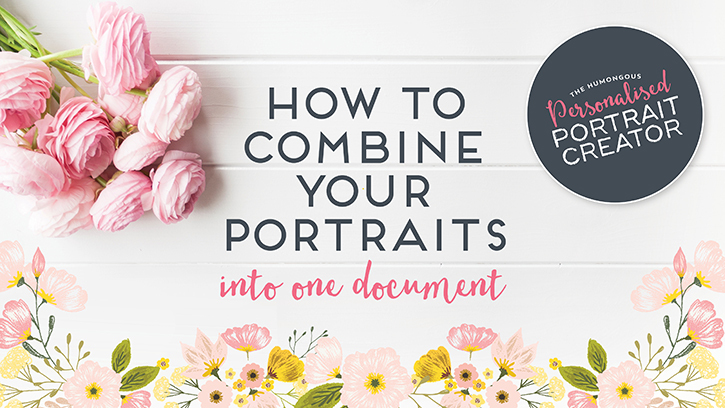 To combine your portraits into one doc, I recommend creating a new document to your preferred size and create a background colour if you like by using the rectangle tool and filling it with your preferred colour. You can also use one of the pre-made backgrounds provided. Move over to your completed portrait, lock or hide all layers you don’t want in your new doc, like the background layer for example, then menu Select > All, Edit > Copy, move over to your new document and Edit > Paste. Without deselecting, group your portrait which can be found under Object > Group (You can leave ungrouped, but I recommend grouping at this stage because it makes it easier to work with). Then move your portrait into position with the Selection tool. Repeat the above steps for all your portraits. If you need to scale your portrait up or down, select the portrait first, then holding down your shift key, just drag a corner in or out depending if you’re scaling up or down. NB! Place all your portraits in the document FIRST before you scale, then scale the size all at once by selecting all your portraits and drag a corner in or out. I am having trouble with Copy Merge inserting, too. I cannot find the way to “uncheck” Paste remembers layers. But, I found a tutorial where you can use command+Option+Shift+E and it makes a combined (merged) layer of the layers visible and leaves all the original layers including those visible unchanged. Then I select all (Command-A) and Copy (Command-C) and go the other file to paste it into the group file. Hi Ruth, Are you using Adobe Photoshop or Adobe Illustrator? The Copy Merged is applicable for Adobe Photoshop and the Paste remembers layers is applicable to Adobe Illustrator. But it sounds like you have managed to figure out how to combine your portraits which is fantastic 🙂 Which ever method works best for you is the way to go! I posted my family group (my kids and grandkids) today on my FB page. Three people sent me messages asking what the program is called and how to buy one. I am pretty sure at 2 of the 3 purchased one today! That’s so wonderful to hear!! Thank you so much for passing on the details. I’m thrilled to hear it sounds like you are mastering creating portraits 🙂 I hope you get many more hours of fun from the kit! The Adobe Illustrator menus are slightly different to Adobe Photoshop. So you’ll find the Select All under Select > All, then go over to menu Edit > Copy, from there you can move over to your new document and select menu Edit > Paste. I would recommend grouping your portrait immediately after you paste without deselecting so that all items within your portrait are grouped together. Hope that helps! I am having so much fun creating portraits for my family. One quick question, I am combining portraits into one document in Illustrator, but I wanted to add a subtle drop shadow to add a bit of dimension (I believe you used it in “The Andersons” family portrait you created). Can you help me with this? 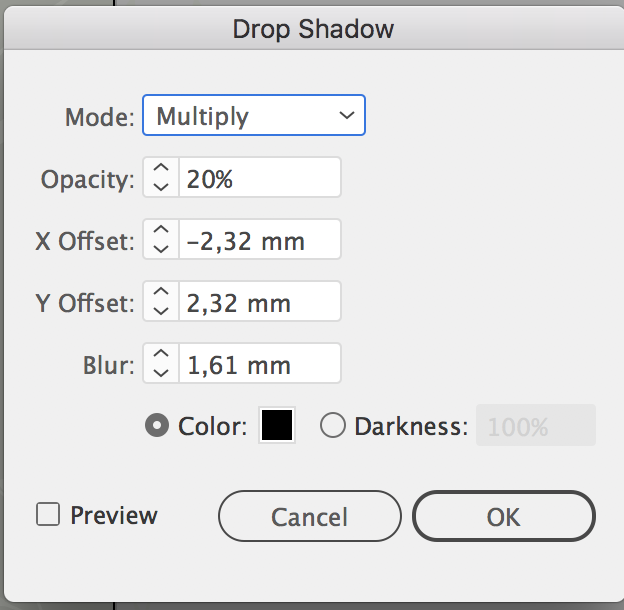 I know where to find the drop shadow option, but I’m having a hard time adjusting the settings so that it looks like yours. Thank you in advance! I just bought your portrait creator and I need to know if there is some handwhriting fonts. Do you have some fonts material? Thank you so much for your purchase, it’s much appreciated! There aren’t any fonts included in the kit, but I do sell several handwritten fonts which you can find in my shop here. I also sell a set exclusively on Design Cuts which you can find here. Hope that helps! If you have any other questions at all, please don’t hesitate to let me know.